Tags are special containers that you can use to organize your files, emails, and bookmarks. You can then use Tabbles to find, sort and share your data in a totally new way. Cross-link files with concepts to produce a dynamic file-system: Tabbles allows you to organize files in a flexible way, without imposing a static folder structure. How many times, when producing or downloading a new file, have you wondered in which folder it is best to put the file, because there is more than one place where it makes sense to put it? And if you put it in one place, you will not find it if you later look in the other place, or if someone else looks for it in the other place. Sometimes, for this reason, you ended up duplicating the file in both places. But after some time, forgetting that, you modified one of them. This caused different versions to exist in different places. Then, after some more time, you or someone else modified the old version. You ended up with several coexisting versions, which had to be merged manually. This is time-consuming, and frustrating. Also, multiple versions can waste a lot of space on disk. Other times, to avoid this problem, you tried to rework your folder structure, so that anything could go in one place only (i.e. a so-called taxonomy). But this is often impossible, and always impractical. 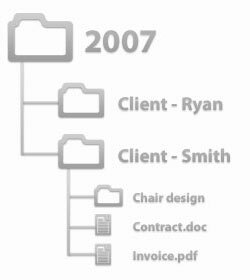 Even when it is possible, you realized that no single folder structure is ideal in all situations: should you organize your folders first by customer, then by year, then by topic? Or first by year, then by customer, then by topic? Or first by topic, then by customer, then by year? Sometimes you need to see all the files in a given topic, regardless of the customer; other times you need to see all the files of a given customer; and when you need to archive old files, you need to see all the files in a given year. There is no way a single, static folder structure can be ideal in all situations. And what if your folder structure must be used by many people, each with different searching needs? It is impossible to keep them all happy and efficient. The solution: Tabbles puts an end to all that. 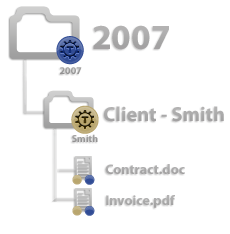 With Tabbles, each new document can be associated, or cross-linked, with all its relevant topics, all its relevant customers, and all its relevant years, without deciding a folder structure in advance, and without copying or duplicating the file. It is only later, when you actually try to find your files, that Tabbles dynamically creates the folder structure which is most appropriate for your needs. Here is how it works: if you click a topic first, you will see all the customers with that topic, as dynamically generated subfolders. Conversely, if you click a customer first, you will see all the topics of that customer, once again as dynamic subfolders. Once the folder structure is defined, it cannot be easily changed, and all files must then be sorted and searched according to the given scheme. Sometimes there is more than one place where you can put things, and policies cannot be easily be enforced among many coworkers. Even when there is a single place where to put things, no hierarchical structure fits all situations. And with multiple users collaborating, it is difficult to keep all of them content and efficient. 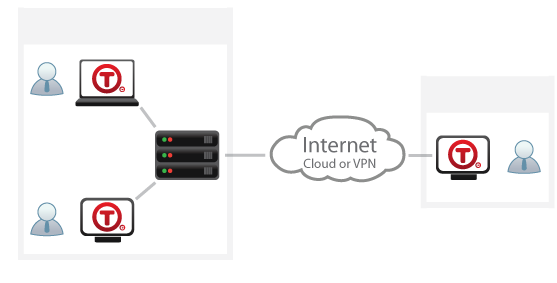 Finally, if the data you are looking for is archived, or is on a disconnected drive, you will have to switch to a totally different user interface to find it. With Tabbles, there is no single, predefined folder structure to which everyone must comply. 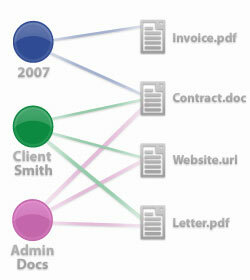 You work by linking each file with the relevant concepts. This is like creating many folder hierarchies at the same time. The actual hierarchy users will see is created dynamically, according to their needs at that time. When you cross-link files with tags, you are in effect creating all possible structures at the same time, and with the same effort! Finally, with Tabbles you work with the same interface, even when the files you are working with are archived, or are on a disconnected drive. Remembering where your files are is simply impossible, but still you remember what they are about… Even the most organized people often have troubles finding sensible files. Even the simplest folder structures and file naming system can be hard to remember or to understand. Our brains are simply not that efficient when it comes to remembering files’ locations and names, even if we easily remember enough to describe the files we are looking for. Very often you remember a lot about a file, but you don’t know where it is. Very often the only way to find a file is by searching for its name or its folder’s name, which you will hardly remember. The disk where the file is stored might very well be disconnected, or detached. You might have hundreds of DVDs, or removable USB drives, where the file could be. You’ll need to spend time browsing, or asking someone else for help. Searching for a file can be time consuming and frustrating. Tabbles allows you to find your files, emails, documents and internet addresses by simply describing them in a natural and easy way. With the Combine function, you can find the files you are looking for by picking the attributes that best describe your files, in a graphical and user-friendly way. Tabbles will then show you all the files that match your description, regardless of where they are located, whether or not they are in connected drives. During the search Tabbles will suggest you how refine the search (using the “combinable tags”), leading you to the files you’re looking for in a natural way. Tag-sharing allows teams to create a tag-cloud on shared drives and Cloud folders. Tag-sharing enables users to tag files as a team. Organize the chaos on your shared drives or your Dropbox/OneDrive folders. You can choose a setup where each user can tag some files and make the tagging available to the rest of the team, or one (or some) users can tag (or auto-tag), and the whole team can browse the tagging. Using Tabbles’ granular permission system, you can setup users and groups with different privileges, for example some users are allowed to tag with certain tags, while the rest can only browse. 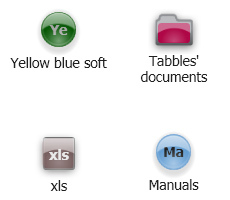 Here we introduce a few of Tabbles’ key features. For a complete list of features, click here. To “cross-link” files and concepts, you have two ways: you can select a file and then click the relevant concepts, or you can select a concept and then drag a bunch of files into it. In Tabbles, these concepts, are the tags – and you can use them as tags or virtual folders. 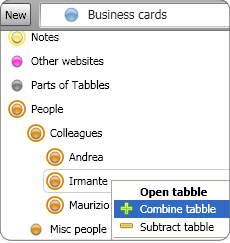 Since Tabbles is a desktop application, it is well integrated with Microsoft Windows: categorization can be done using the usual explorer functions, such as copy-and-paste, drag-and-drop (keyboard shortcuts and right-button menu included) or using special dialog boxes called “quick-tag” dialogs. And tagging can also be done automatically, via powerful rules you can define. Tabbles can tag your files automatically based on your folder structure; it can help you tag a file that you just created or downloaded with just one-click, without forcing you to locate it in the file manager first; or you can define powerful rules to tag files automatically, including Regular Expressions. As we have seen, tags are special containers that can be combined, i.e. intersected or subtracted. Intersecting two tags shows the files that are in all the tags. (This is like making a logical “and” of two sets of files.) This way you can find the files that are related to all the concepts you have in mind. You can also subtract, i.e. exclude, other tags, to refine the search even more. The combine operation is incremental. This means that, in order to find a file, you work as follows: first, you choose the initial tag to open. After opening it, you will of course see the list of files in this tag. This list of files will be typically be very long, too long to locate the file you need at a glance. So you will want to combine some other tag, in order to narrow down the list of files. Here, Tabbles helps you by displaying a list of the so-called combinable tags, i.e. the tags that can be intersected with the tag you have chosen, producing a non-empty intersection. 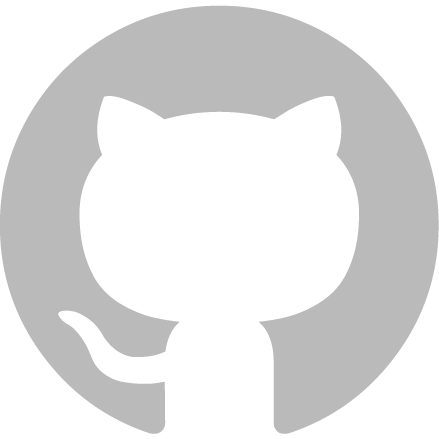 This means that Tabbles is dynamically computing the possible subfolders of an open folder; it is what realizes a dynamic file-system. Then, you will choose a combinable tag from the list, and that tag will be combined, i.e. added to the open tags; So now you will have two tags open, and the file list will be shorter. If the list of files is short enough, you can locate the file at a glance. Otherwise, you will want to combine a third tag. Once again, you will look in the list of combinable tags, which this time will contain only those tags that can be combined with both the open tags. You will choose a third tag, and combine it. And you can go on this way, adding tags until the file list becomes so short that you can find the file you need at a glance. You can then open the file, or manipulate it like with any file manager. This is how Tabbles solves the complex problem of creating a dynamic file-system.